I posted this question on a general photo Forum and most users are Photoshop, I am attaching the fix someone did. 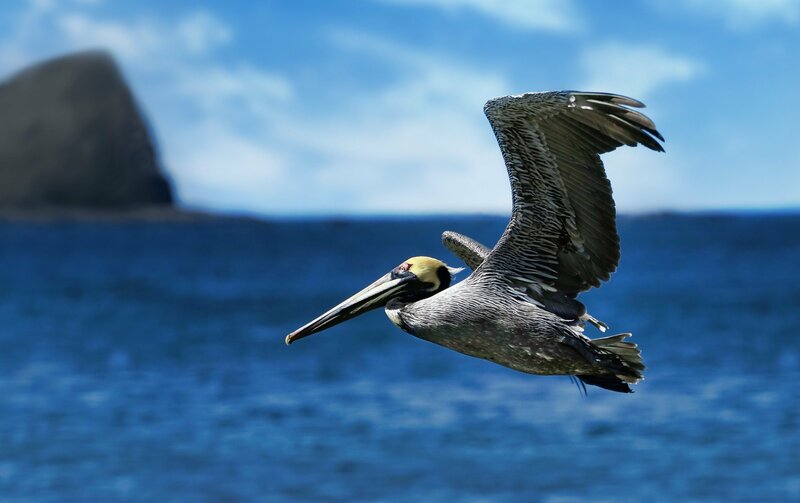 PS -the original would not upload, the pelican is centered and very close to the top margin. He cropped it to put the subject closer to the right and added blue sky on the top. i would also like to remove the rocks to the left. 1. Make a careful selection of the bird, duplicate it and hide the new layer. 2. Use the Inpainting Brush Tool to remove the pelican and the rock from the original layer. 3. Unhide the bird layer and adjust its position as desired. 4. Merge the two layers into one.